Last month, my wife and I had dinner with our friends who came down from San Francisco. We talked about a lot of things, including new technologies. My friend mentioned how important Blackberry was for him because he’s able to accomplish so many tasks with such a handy device. I also commented about my iPhone. Then it hit me. What could happen to the world without these smart phones? I don’t want to exaggerate things, but I think it’s time we admit to ourselves we owe so many things to these diminutive devices. For me, one of their biggest uses is helping you manage finances well, wherever you are. We have Mint app installed on both our iPhone, she likes it very much. After all, she can keep track of her expenses. The app allows her to send alerts whenever she needs to pay some bills, as well as schedule them beforehand (such as monthly, daily, or weekly). I also liked it because we can both keep track of our credit cards and my investments on the go. Some of my friends are also using other apps such as Yodlee and Easy Bills. They do help us monitor our budget, income, and expenses. They’re easy to use too, so you don’t have to be ultra smart with counting money before you can use them. Not all banks are into mobile banking yet, but we’re lucky because ours are. When we need to check on money transfers and balances, we don’t have to bring along our laptops anymore while travelling. We simply sign in to your mobile banking accounts. We can also transfer money conveniently. There’s no need to pay for gas just to do it in our own banks. Even I use PayPal’s iPhone app to check on the expected payments when I am at work. Both my checking banks provide bill pay through mobile app. We have auto-pay setup hence, we do not use the bill pay feature. Remember the times when you have to get out of the house just to pay your bills? Once came the computers, you needed to be at home to pay your bills. Now, with smart phones, you can even skip being at home and have more time for something else. Your bank’s smart phone app can pay bills for you. This means you authorize utilities and credit card companies to withdraw money from your accounts once it’s time to pay them. Let me tell you, once we did this, my wife had more time to take care of herself. For me, that’s important because she too also works hard in the home. She can spend most of her free days pampering herself or reading a book or going out with friends. We’re glad that a couple of stores around us now accept mobile payments. still we pay with plastic credit card, as we do not have Google wallet, it’s not supported on our AT&T phones yet. I see people waving their phone at the checkout line, they don’t need to bring credit cards or cash. We just hope that iPhone should be enabled for making mobile payments and more stores will be open to mobile payments. Check out this review of Google Wallet for more. Ever since online coupons became available, we hardly buy dailies or magazines anymore. And since smart phones can connect us to the Internet, all we need to do is to present the codes to the store, and we can already enjoy our discounts. It’s so easy, really. Coupon Sherpa has now become a part of our shopping trip. We always score over other shopper with the help of Coupon Sherpa. Each time I used the coupon sherpa app, it invariable resulted in a question “what’s that?” from fellow shoppers. Once an old lady even wrote down the app name for passing on to her daughter. 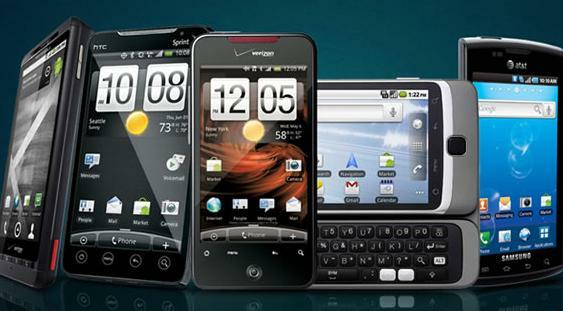 There are a couple of smart phone plans that are very practical and affordable. Moreover, we could tie in several phones in one plan. For example, my wife and I share the same family plan. This helps us financially since we only get to pay one bill every month. Further, we can both monitor our use. Prepaid-wise, text and call charges have decreased considerably over the years. A few weeks ago, I downloaded a new app called Google Shopper. What it does is to compare prices between offline and online stores just to let you know which provides you a much better deal for the same product, and it’s so convenient to use. Just place your phone near the bar code, scan it with your camera, and open the app. It immediately searches for similar or even exact items and compare prices. In fact, you can choose not to spend anything on calls, even if the person you’re talking to is several miles away. You can definitely forget about long-distance or roaming charges, which can sometimes be so absurd. As long as you’re connected through Wi-Fi, you can already use Skype or Google Video Chat. To top it off, Google Voice gives you a free phone number and text messages, so you also don’t spend any money on texts. We have three options on our phone, a free app from MapQuest which is in every way better voice and graphic navigation system compared to Garmin or TomTom we once had. As a back up we have Google’s voice less navigation system and AT&T Navigator (not free) which can be activated anytime whenever we need it to be. So If you have a smart phone, you can forget about buying a GPS navigation system or using a car with an inbuilt GPS in it. Buy a phone holder and fit your smart phone in it. you’ll achieve the same purpose. Not into smart phones yet? If you’re worried about the cost, don’t. A lot of them are already very affordable, and you don’t need to have an iPhone just to own a smart phone. My iPhone has gotten me out of financially sticky situations before – when I only had one bank card but my money was in the other bank, I could just hop on my phone and do a transfer. I love my smart phone! Smart phones do help us doing things on the go. If you consider smart phone cost and the cost of data plan I don’t think I am losing money. I use my smartphone for a lot of things! I also was able to avoid some overdraft fees by transferring money pretty quickly on my phone (I send most everything to savings). I don’t know what I would do without my smartphone. I have an EVO btw! I do bank transfers all the time, even transferring from PayPal to bank accounts. I never knew of such smart phone app that cna take streaming directly from your installed camera. Great to know that. I don’t use Mint but I am always logging into my bank account and credit card account from my phone to make sure we are on budget. I seriously don’t know what I would do without my iPhone! I am exactly like you in my smart phone use. Alright if you can believe it…. I don’t have a smart phone yet. I use Mint though. It’s great… However I need to get online at home first. LOL. My phone is outdated. I have to check out that MapQuest app you mentioned. I miss having the voice directions. I also love using my smart phone to deposit checks. In the rare event I receive a check, I’m glad I don’t have to go to the bank. Oh, and if for some reason I don’t have access to a wi-fi connection, I can still watch videos on Netflix and YouTube through my phone. It’s like you never have to be bored. You know our Garmin has lost capacity to retain charge, you ended up putting it in a drawer we forgot even. This Mapquest app is the main navigator for us. I would say it’s must have app. And it’s free! Use my iPhone everyday to keep up with my finances! I have apps for all of my accounts, especially love Mint! I too love it. Though I am a Yodlee user. While I do love my smartphone – I have to say that to manage well you might have to make some conscious changes. It’s easy to download apps but it’s tough to maintain the integrity of your data. With data it’s only as good as how often it’s managed. So with managing your finances on your phone you just have to train yourself to stay on top of it. I think the technology is great, but I’m not sure I want to use my iPhone for banking. It does come in handy for last minute searches and directions. what’s that is preventing you from using bank apps, millions of people doing it already. Ironically I haven’t done any banking on my phone, but sometimes I use the phone to do a few quick calculations. It can really help with things like currency exchange or figuring out the right amount to tip! What about phone security? For some reason I have stayed away from banking on my smart phone….maybe I am just paranoid! You don’t need a WiFi connection on my smartphone to use Skype. For safety concern I only pay bills using WiFi connection at home only. But at home you have access to your PC too, isn’t it? You may still need a GPS if you travel backwoods roads with little or no cell tower signal.